Acquavella and Pace are joining forces to present a thematic, two-gallery show of “constellation” works by Joan Miró and Alexander Calder next April, the first time that these roughly contemporaneous bodies of work will be brought together. 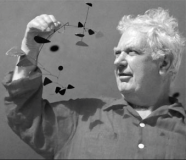 The two artists met in Paris in 1928 when Calder, 30, visited Miró, 35, in his Montmartre studio. Although the artists’ basic affinities in colour and biomorphism are obvious, the two rarely, if ever, discussed art, preferring more bacchanalian pursuits like drinking. 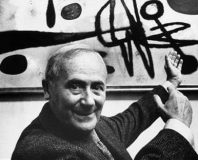 Miró, who had learned how to box from Ernest Hemingway, in turn taught Calder; Calder taught Miró how to dance. One of Calder’s first wire portraits was of the Catalonian artist. 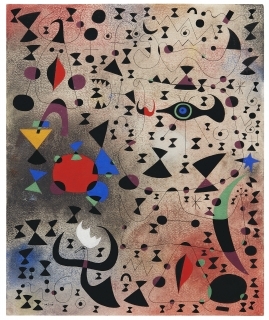 The two maintained ties despite the American artist’s return to the US in 1938, and Calder was instrumental in bringing Miró and his family to New York after the war. However, according to Eleanor Acquavella, “they couldn’t really communicate during that time, which ironically is when these works were done”. Of Miró’s 23 constellations, at least 20 will be shown at Acquavella, which has secured loans from private collectors as well as major institutions. The last time they were exhibited as a group was at the Museum of Modern Art in 1994. Pace, for its part, has so far sourced around 40 of the 60-odd works by Calder to display at its 57th Street location, most of which are held in museum collections due to their extreme fragility. “The list of museums who are committed to this show is extraordinary,” says Nick Acquavella. “That’s probably more a testament to the generation before us, but we certainly plan on keeping that strong working relationship”. The two dynastic galleries are the latest blue-chip players to leverage their connections for a focused—and non-selling—show of Modern masters. Why? In part, because they can; also, others do not. The relatively small scale of the show, coupled with daunting shipping and insurance requirements, make it an unattractive proposition for museums, Glimcher says. Despite the often cutthroat nature of the business, he adds, cooperation between dealers is and has always been necessary to move rare objects from one place to another. “You can compete with someone, but you can also work with them”, adds Nick. The bottom line, in Glimcher’s mind? “It is the greatest pleasure to be able to do these kind of shows”, he says. 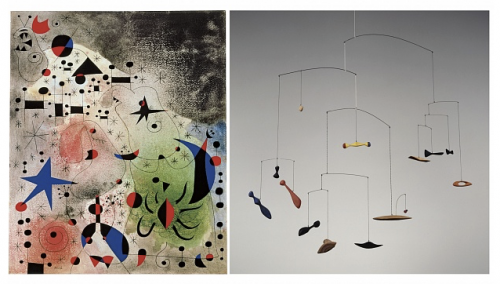 “Nothing looks better together than a Miró and a Calder”.